QuantumListing is much more than a listing service. Find out how you can use QuantumListing to expand your network and land more deals. QuantumListing is more than simply another commercial real estate listing service. With a little effort on your part, QuantumListing can become your real estate networking hub. Once you learn how to use the features we have created for you, we are confident that you’ll be able to utilize them to do more deals in less time because you’ll be connected to the right dealmakers. 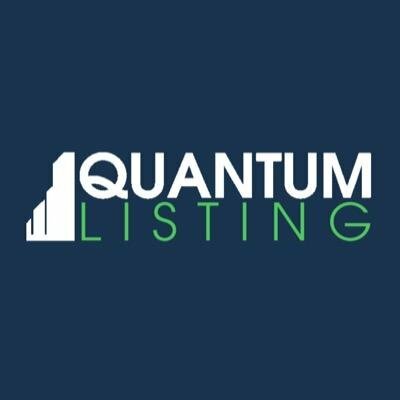 The first thing we recommend you do after you have joined QuantumListing is to build out your Profile. You probably added your phone number and website address (if you have one) when you joined, but if you didn’t, now is the time to do this. This includes adding a profile picture or logo, a bio, and links to your social media accounts, especially LinkedIn. Just click on the pencil and paper icon above the smiley face avatar on your profile page. If you need further assistance, check out the How to Edit Your Profile article in our How It Works section. If you still need help, you can schedule a 15 minute Profile Tune Up with us from the Schedule a Demo button at the top of any page on QuantumListing.com. Once you’ve built out your Profile, it’s time to check out your Networks and Groups, using them as a resource to find other QuantumListing users to follow. Within the first 24 hours of joining QuantumListing, we’ll add you to at least one network based on your geographic area. You can look through the Networks and request to join others by clicking on the Networks link on the left-hand sidebar menu on your Profile page. Your Network will become your go to resource for finding the listings in your market. After you’ve taken the opportunity to explore your Network, you are going to want to join some Groups. We’ll add you to your state “Wants” group, but if you don’t want to wait for us, you can join them on your own by clicking the “+ sign” to the right of the Group you want to be a part of. In addition to the state wants groups, we’ve set up groups for each asset class that you can join. You also have the opportunity to create your own group, and you can make them public or private, as well as decide if you want group members to be able to invite others to join the group. The next step in your QuantumListing master plan is to follow the users you know and want to get to know. To do this, go to your Networks and Groups and have a look at the names of your fellow network members. Go to their profile pages and click the Follow button. We recommend that you follow at least three QuantumListing members. Once you’ve done that, you can find the people you’ve followed by clicking on the Social section of the left-hand sidebar on your Profile page. Now that you’ve connected with other QuantumListing users, it is time for you to reach out to them. You could send them an email, but why not try using our Chat function instead? Just go to your intended correspondent’s profile page and click on the chat icon next to their profile picture to send them a message. You’ll know you have a reply when the chat icon on your page turns green. Don’t keep it a secret that you’ve started using QuantumListing. Every day we’re growing our user and listing base, and we need your help to increase the momentum of our growth. In return, our commitment to you is to continue improving the features available to you at an incredible value. We already have a good jump on enhancements for 2019, and they are really exciting. Click here to send an email to your friiends and let them know that you are using QuantumListing and that they should, too. You can also invite people from your home page. Watch the video below to see how. While QuantumListing is at its core a CRE listing platform, it can also be so much more. Turn QuantumListing into your CRE networking hub by following the simple steps above.